A multi-mix of electronic music styles, from Bass Music to Techno, from IDM to Ambient, and many many more. This is what we are..
“Silence against Noise”, that’s Platonick Dive musical definition, between ambient digression, geometric constructions and feedback explosions. Passionate about electronic music, delays, loops and fiords. Intelligence Dance Music, sound experiments, dubstep echoes and dreaming guitars. 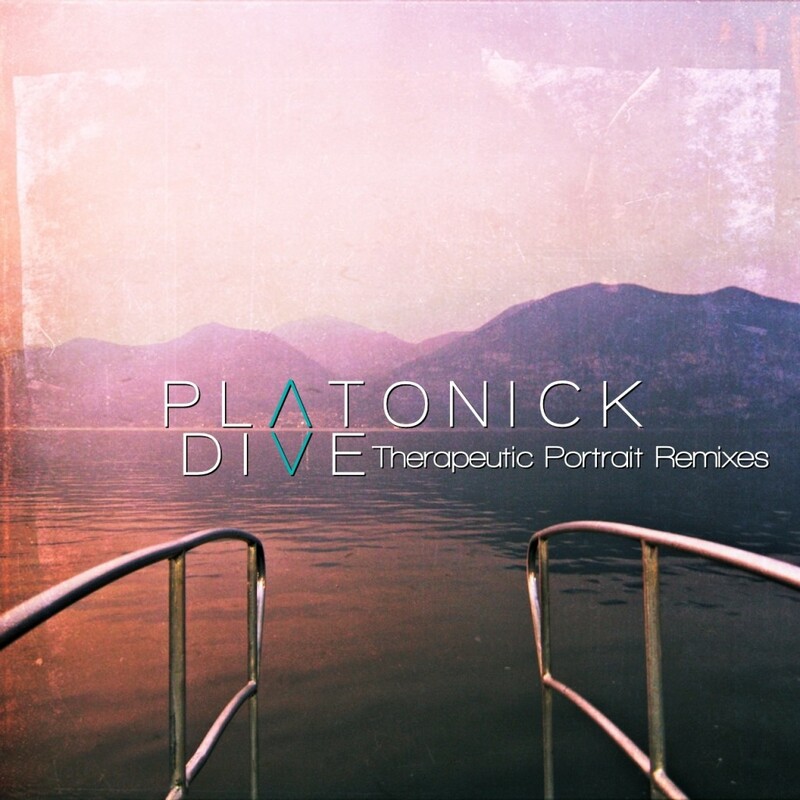 Platonick Dive comes from Livorno, established in 2007, but only the part year the project really took off, when Jonathan Nelli (former Rayo Hormiga drummer) joined the band, and the group moved towards more elegant, refined, avant-garde sounds. They’ve passed a whole year in studio to write new songs of their most anticipated first album with laptops, synthesizers, keyboards, two dreaming guitars and a colossal drum kit, the real backbone of the band. 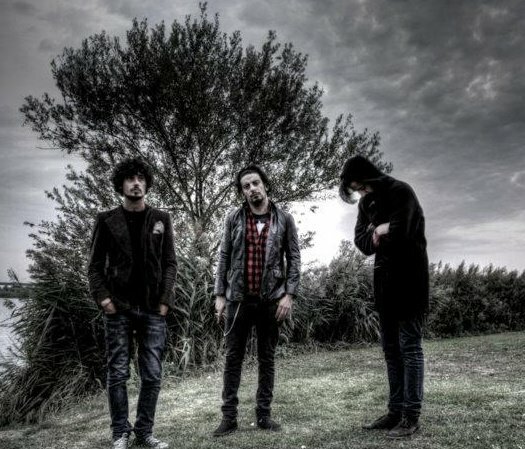 Platonick Dive are three: Gabriele Centelli (guitar, voice, keys, electronic sampler), Marco Figliè (guitar,effects, electronic sampler), Jonathan Nelli (drums). They’ve performed two times as the opening band during the This Will Destroy You tour in Tuscany, and they’ve composed the original soundtrack for the short movie “1917”, a photo/video work from Jaques Bonhomme. Their first album titled “Therapeutic Portrait” has been recorded between the Folson Prison Studio in Prato and Adrenaline Studio in Livorno, during January 2012. The Strings has been recorded at the Big Wave Studio in Livorno. Executive producers, Platonick Dive, Daniele Nelli (Tasters frontman) and Davide Bitozzi, both from Adrenaline Studio. 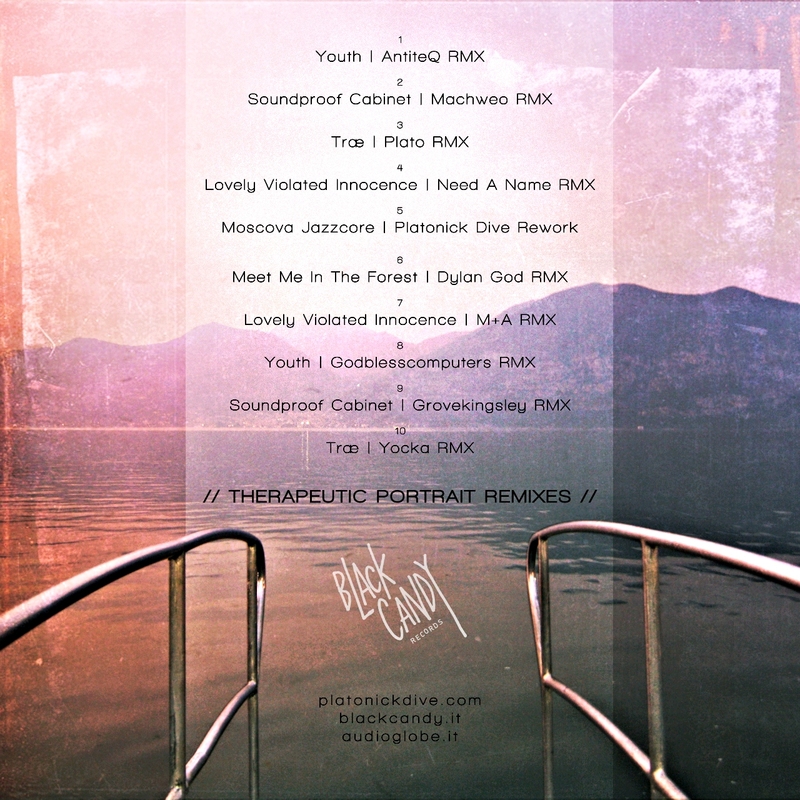 “Therapeutic Portrait”, more than the first Platonick Dive’s released album, is the combination of a variety of styles, or what the band likes to call the “Avant-Garde Music”, taking the modern sound of today, molded to obtain an unique mix of strong feeling, but at the same time highly ordered. With the colors, the lights and the introspective characteristics of a real portrait.